Lites come in many sizes and are classified into four basic types: vision lite, narrow lite, half lite, and full lite. A lite kit can be made of wood or metal. Wood kits generally match the finish of the wood doors they are installed in. Metal kits can be supplied primed for painting or with a generic factory finish. Generally, glass is supplied by others. Louvers are often used on doors where air flow is needed such as data rooms, mechanical rooms and store rooms. Louvers can also be made of wood or metal. 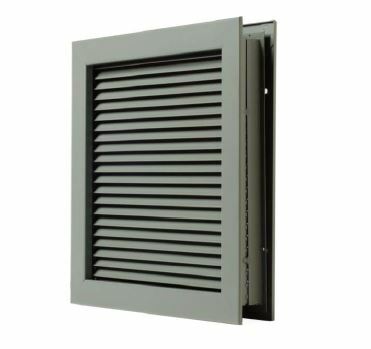 Exterior door louvers sometimes have the option of adding an insect screen to prevent critters from crawling through the vent. Custom faux louvers are available on some wood doors as an integral part of the door and are often used at dressing rooms. A problem unique to wood doors is the requirement of a minimum distance between cutouts for lites, louvers and mortised hardware. 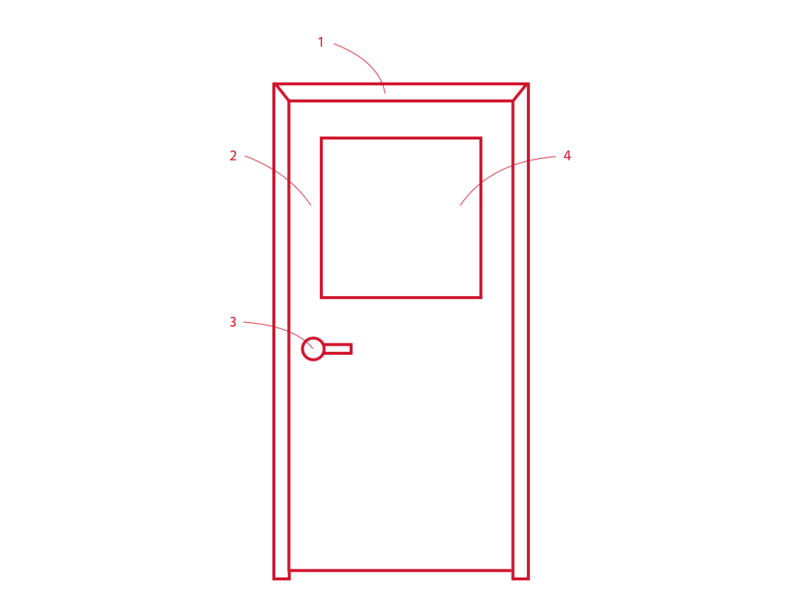 This minimum distance must be maintained in order to meet warranty and labeling requirements. 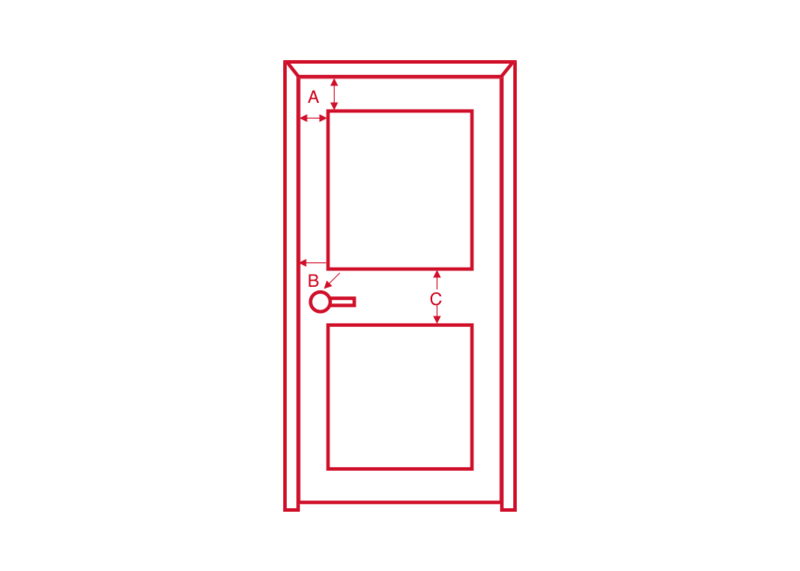 Lite lock conflicts are usually resolved by reducing the sizes of the lite or louver cutouts or by moving the cutout. Learn more about lite lock conflicts.